I started the year with a couple of weeks holiday and as I’d had such a rotten second half of 2013 I didn’t even feel guilty for spending most of that time lolling about with a book in one hand and a glass of wine in the other. Aside from being good for my mental health this kick-started my reading year nicely in terms of quality and quantity. The only downside to all of this is that picking a single favourite for the month is difficult. So I haven’t. 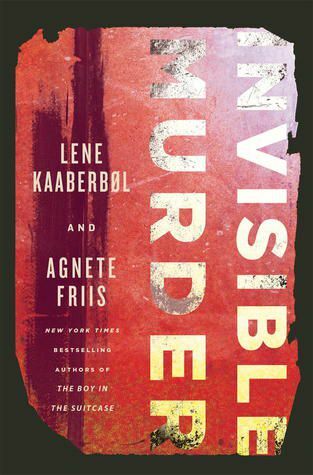 I was lukewarm about its predecessor so I didn’t expect to adore INVISIBLE MURDER by Lene Kaaberbol and Agnete Friis. But adore it I did. Tackling the difficult subject of the treatment of Roma people in Europe the book manages to inform, inspire and draw compassion from all but the coldest of hearts without ever losing sight of the need to entertain. Its characters leap off the page and its story compels the turning of each page. 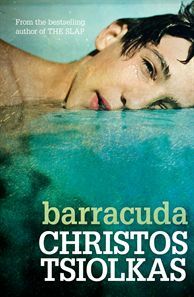 After staring at my copy worryingly for a couple of months (having hated the author’s previous book) I decided to grapple with Christos Tsiolkas‘ BARRACUDA over the Australia Day long weekend. Happily I thought the book terrific. At its heart is a personal story about a young boy’s troubled quest to become a good man but wider social themes about Australia’s society and culture are also deftly explored. I read 2 of the 24 books I am aiming to read for the Australian Women Writers challenge this year. I read the first of 51 books needed to complete the Reading USA Fiction challenge (I’ve not set a deadline for this one, merely made a commitment to read a book set in each state that is by a new-to-me author). I read 11 of the 40 books I aim to read from my pre-existing TBR shelves and devices for the 2014 TBR Pile Reading Challenge. Of course it’s easy to read pre-owned books in January but now that 2014 titles are starting to appear enticingly in bookshops this particular challenge will prove more difficult to stay on track with I’m sure. I started an unofficial challenge to read some female Irish crime writers after noticing that most discussions of the Irish crime writing scene are heavily dominated by male writers. I’m continuing to participate as contributor to the Australian Women Writers challenge blog and to that end posted my second annual wrap up of the challenge’s crime fiction reviews. Katherine Howell and Honey Brown took out the honours as most reviewed Australian women crime writers for 2013. What about you? How has your reading year started? Ready any contenders for favourite book of the year yet? Have you set any reading goals? If so, how are you going with them? Bernadette – I”m so glad you had several good reads this time. And isn’t it nice when a book you weren’t expecting to love happily surprises you? And you’ve reminded me that I really want to read Barracuda. I keep looking at this post, then forgetting to comment. So many interesting books here. A couple I want to read (Invisible Murder and The Hanging Shed) and others I will look into. That is a lot of books to read in a month, even with time off … I like your idea of reading women Irish writers. Am reading Gordon Ferris’ Pilgrim Soul now, very good although I normally avoid books that hark back to WWII, but this one is unique, set among the 1947 Glasgow Jewish community. Sycamore Row by John Grisham, a terrific legal mystery set in 1988 Mississippi, dealing with some of the worst of the South’s past racism. It’s very well-done, and as a legal mystery buff, I thought it one of the best of the genre. And witty, too. Lifetime by Liza Marklund is a good one with Annika Bengtzon, a more realistic denouement than I’ve seen in that series. I could not put this book down. FYI: Over at Crime Always Pays, Declan Burke’s blog, there are several women crime fiction writers mentioned, some with new books out. One book was written in Gaelic, and has been translated into English. Now that one interests me.